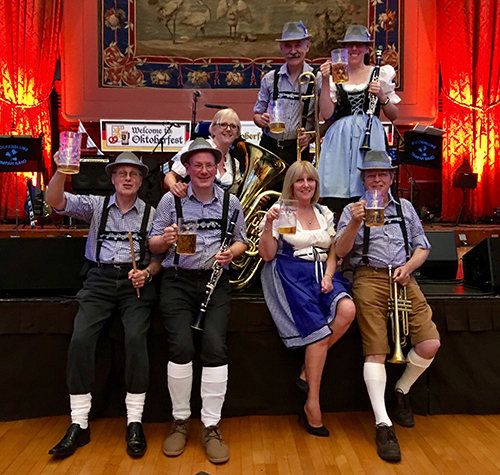 This Sussex Oompah Band play traditional drinking songs interspersed with German oompah music, waltzes and Polkas. 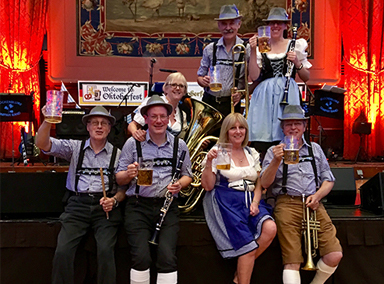 Fantastic for Oktoberfest parties, bierkellers and Bavarian themed parties. 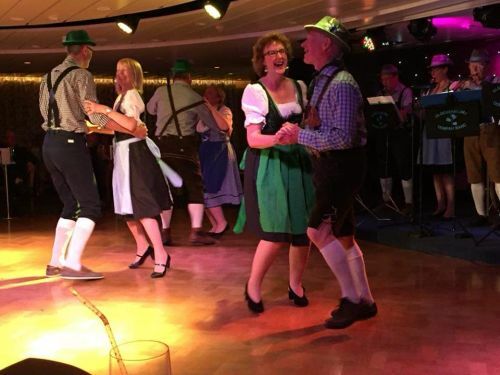 A front person will teach the audience the toast Ein Prosit and help create the Oktoberfest experience. Later sets include pop anthems for the audience to exercise their vocal talents.